From the left: Anne Foos and Paulette Roberts, both of Webb City, and Margie Wright, of Baxter Springs look over a nearly completed shawl on Saturday at the Webb City Public Library. The three are part of the Hope Through Yarn group that meets the fourth Saturday of each month to create items for charitable organizations. 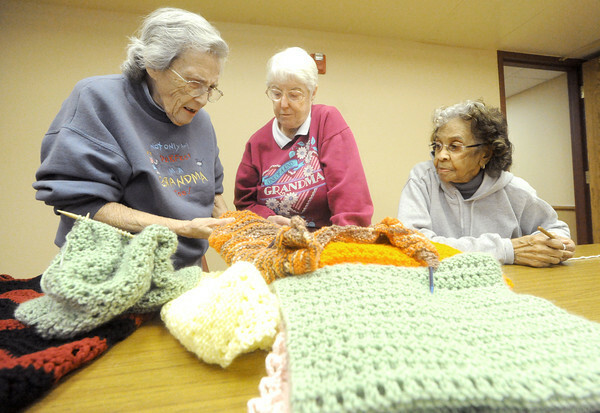 Oraganizer Jill Bresson said the group began about five years ago to make items for soldiers, but has since expanded into making items for hospitals and churches as well.